Scientists have found foods that lower blood pressure. Yes, you can use food as well as natural supplements for a high blood pressure natural remedy. Why avoid blood pressure medication side effects? Instead, making changes in your diet and life style is safer, and you will live longer, and feel much better than you will by taking meds. Here’s why! What’s the Problem with High Blood Pressure Medication? These meds have side effects nobody wants! In the long term, blood pressure medication pushes the lower number TOO LOW, so as you get older, not enough blood is getting back to the heart. When not enough blood gets back the heart, eventually you will get heart irregularities (AFIB, or cardiac arrhythmias) and even the risk of sudden cardiac death or heart failure. Even in the short term, these meds have LOTS of side effects, including: fatigue, headaches, and light headedness. So, before your doctor simply blames these side effects on your age, it's better to take control of your health by choosing nutrition to reduce these meds! Yes, scientists have found new high blood pressure cures! Researchers were impressed with the power of dark chocolate to lower blood pressure just as well as meds do. Beet root juice, say scientists, is also a high blood pressure natural remedy. You can eat more beets, make beet root juice if you have a juicer, or add beet juice powder to your diet to lower blood pressure. These two "super foods," researchers found, worked just as well as high blood pressure medication, but without unwanted side effects! You may need fast results! If your doctor has warned that your blood pressure is to high, you may need to bring it down fast. 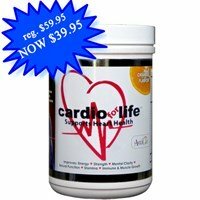 Dr. Harry Elwardt's best selling ENHANCED Formula has ingredients shown to lower blood pressure naturally. How? By relaxing the small blood vessels to improve your blood circulation and reduce high blood pressure! You can safely try a scientifically proven natural approach. 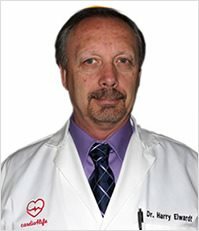 Dr. Harry's heart supplement is SAFE with or without high blood pressure medications. Many people have gotten off their medications with his CARDIO formula, with their doctors monitoring their progress! Add more of the following -- not just because you want a high blood pressure natural remedy -- but also to protect yourself against ALL the risk factors for heart disease – inflammation, LDL cholesterol, insulin resistance, and oxidative stress. Add these POTASSIUM rich fruits: bananas, apricots, figs, grapefruits, peaches, grapes, mangoes and prunes. Potatoes, legumes, broccoli, zucchini, lettuce, and mushrooms. Add citrus fruits, berries and green leafy vegetables for VITAMIN C, and plant nutrients that protect and heal. Add CALCIUM with low-fat dairy such as yogurt as well as sesame seeds, walnuts, tofu and green leafy vegetables. 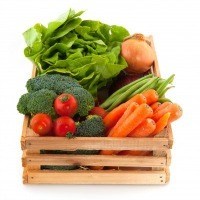 Also see how the DASH diet lowers blood pressure naturally. Early Signs of High Blood Pressure? What’s a safe, normal blood pressure range? According to a meta-analysis of 61 studies, your risk of a stroke or a heart attack already starts to increase when your blood pressure becomes higher than 115/75. High blood pressure symptoms include headaches, rapid pulse, chest pain, sweating and shortness of breath. But by the time you get these signs of high blood pressure, the problem is already more difficult to treat. So rather than depending on your doctor to give you pills as high blood pressure cures, better start eating healthy and reduce your stress level before you get actual signs of high blood pressure. 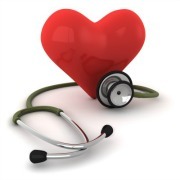 Hypertensive heart disease can be reversed naturally with food and supplements. For best results, take an all-in-one arginine /citrulline/ mineral /vitamin supplement. Take the guess work for which vitamins and minerals! 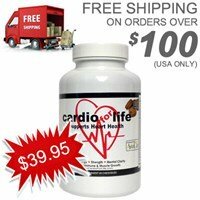 You'll want to try Dr. Harry Elwardt's Enhanced Heart Protective Formula as one of the best and most cost effective! Health Discoveries gives the advances in nutritional science so that you can live without disease and decrease your meds. Why? 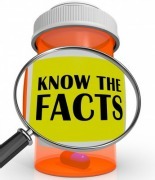 The long term use of these meds can result in serious symptoms of low blood pressure – driving the lower number is TOO LOW, leading to AFIB, and heart irregularities and even heart failure! The best high blood pressure cures are the foods you eat, and taking the stress and pressure off yourself and your lifestyle. So relax, enjoy life, learn to cook nutritious meals, and plan to be here for a very long time! How Phil got his high blood pressure back to normal for the first time in 30 years. Are Mini Stroke Warning Signs Important? 1. Dietary Nitrate from Beetroot Juice for Hypertension: A Systematic Review. 2018 Nov 2;8(4). pii: E134. doi: 10.3390/biom8040134.